It’s Jane here again; you might remember my last post, Eating around Europe. 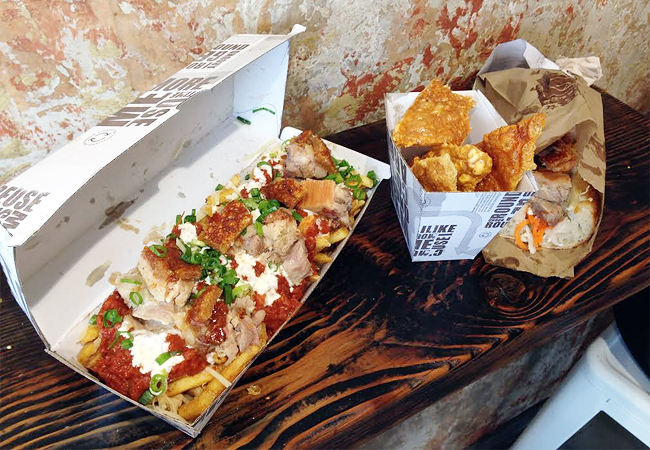 I’m back with more food pictures from the last two or so months, from Sydney and China! 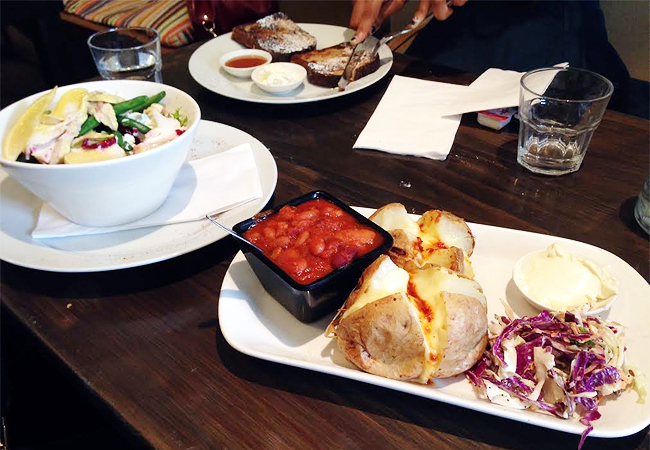 At Mad Spuds Cafe in Surry Hills, where the main dishes are potato-based. I got the roast potato with chilli con carne. 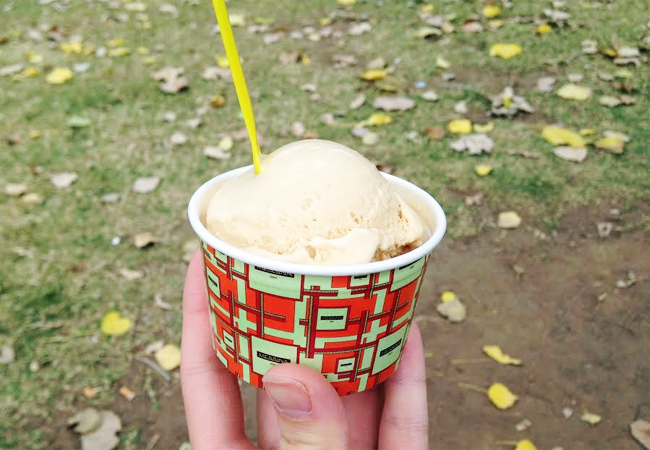 Caramel and white chocolate gelato from what is probably Sydney’s favourite gelato place – Messina. 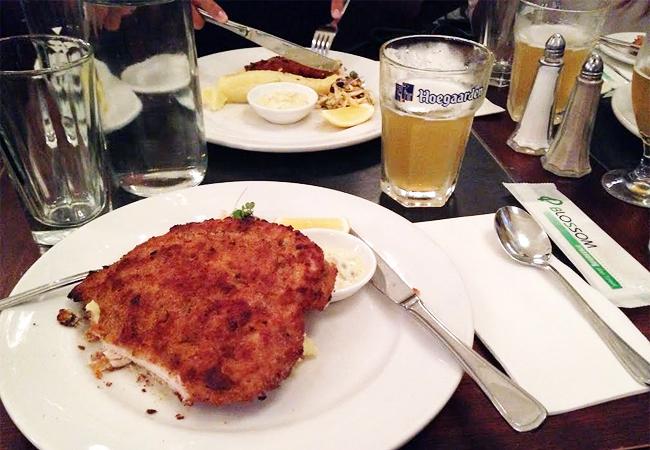 A giant schnitzel and beer to relive Europe. And off to China! 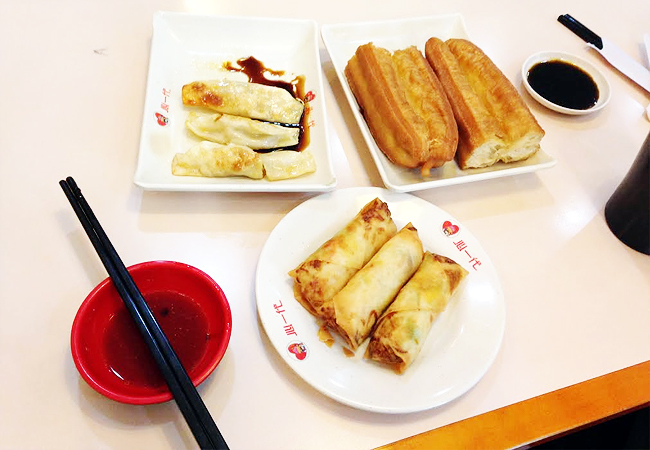 A breakfast in Shanghai – pan fried dumplings and fried doughsticks. 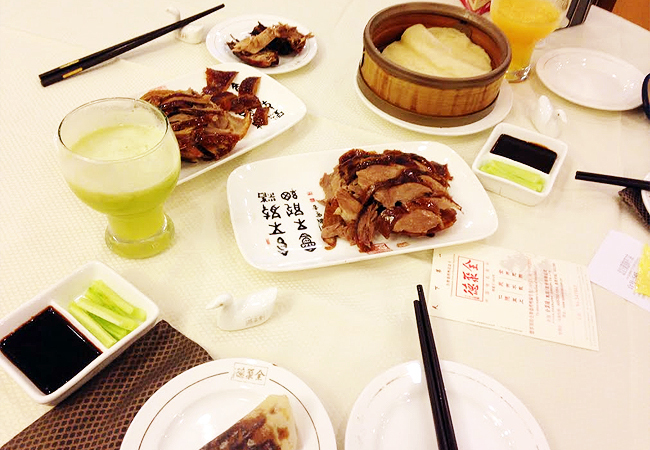 Peking duck at a famous peking duck restaurant in Beijing. 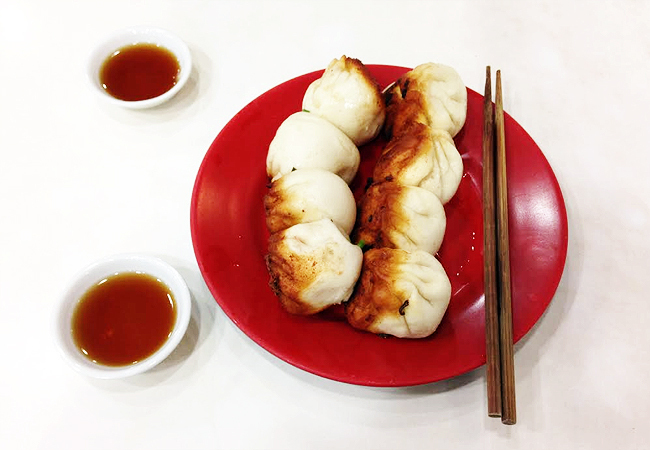 Pan-fried pork buns back in Shanghai. These are my favourite. A little cake from a bakery on Nanjing Rd. 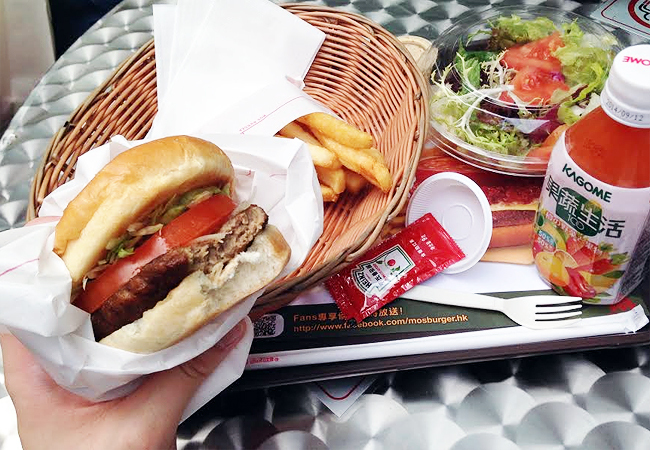 Satisfying my burger cravings in Hong Kong. 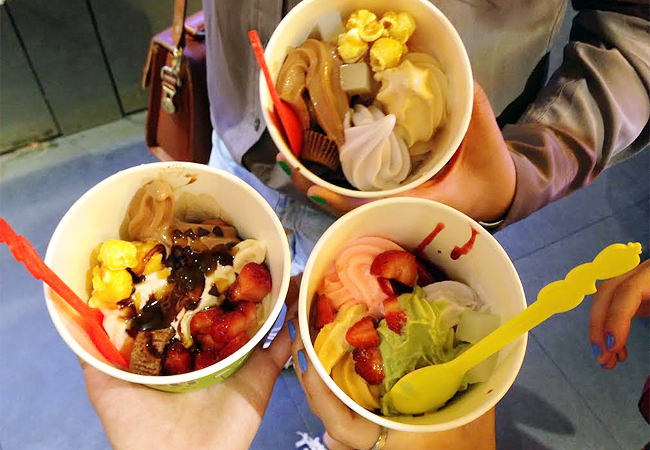 Self-serve frozen yoghut back in Sydney. Paid by weight, so I was picking out the lightest toppings possible. This amazing thing on Valentine’s Day, out with the girls. 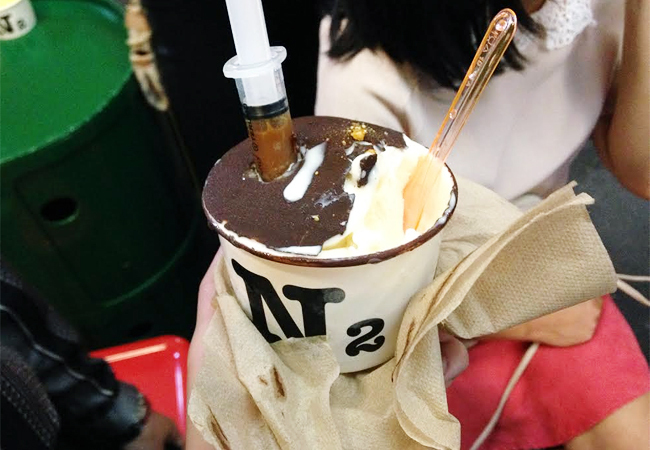 N2 gelato is another popular gelato place – they make the gelato in front of you with liquid nitrogen and come up with pretty fancy flavours. 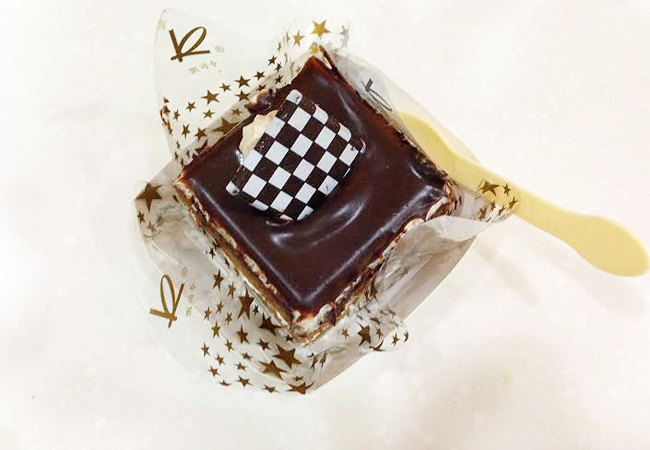 This one was vanilla gelato with honeycomb pieces, dipped in chocolate with a syringe full of caramel syrup. True love. 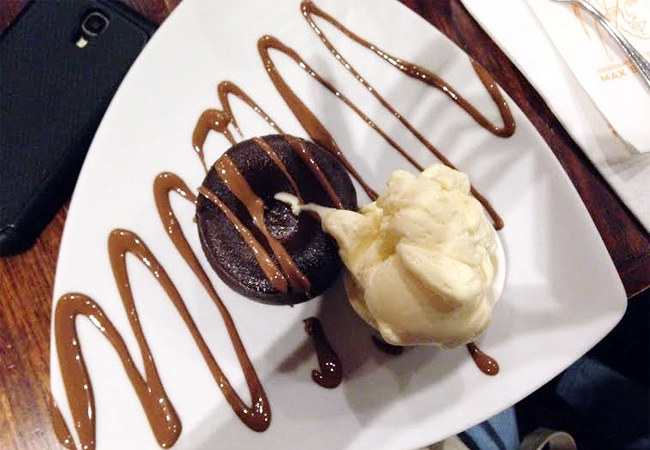 I will enthusiastically and unashamedly eat a whole chocolate couffle with ice cream from Max Brenner, every time.